Black Labrador Retriever T Shirt looks great and features a small sleeve print on left side as well as 2 pawprints on the right sleeve. Printed on Natural color 100% cotton. Adult Sizes S,M,L,XL,XXL,XXXL, and Childrens Sizes XS,S,M,L. Simply click on "order" below then make your size selection from the pull down menu on the order page. 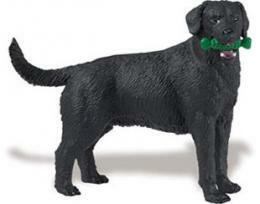 Shop our Black Labrador Gifts Store at Animal World® page for additional Black Labrador gift items.